Random or procedurally generated elements in game design have become a popular mechanic to add replayability and depth to games these days. Keeping the player guessing is a great way to keep them coming back, and we see this a lot in the rogue-like genre. However, randomness does come at a price and can cause problems of its own that I want to talk about. Randomly generated content or events can be seen in any game where replayability is a major part of it. 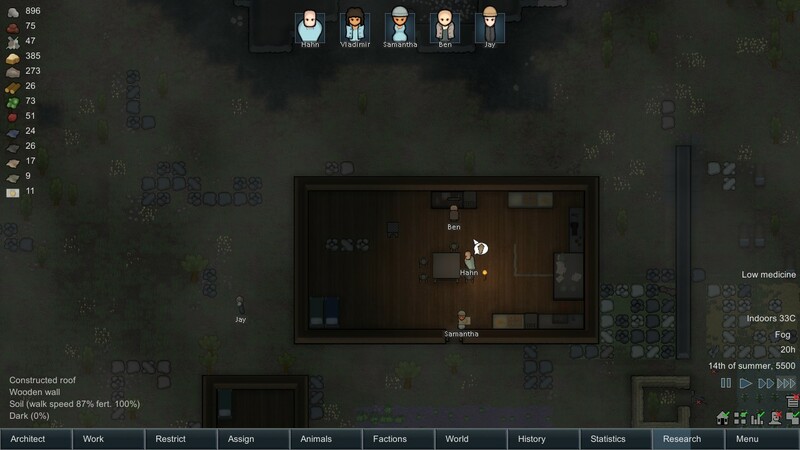 Recently I’ve been playing Rimworld: A colony management simulator similar to Dwarf Fortress. In the game, each day can feature random events as small as rain, to every animal going nuts and attacking your people. The game is built around telling stories and keeping the player interested and engaged. We can see this kind of design in rogue-likes with procedural or randomly generated elements or floors. Each time someone plays the game, the algorithm at work will present something new to challenge the player. The point of these mechanics is simple: If the player runs out of ways to be surprised by the game, then the game is finished for them. 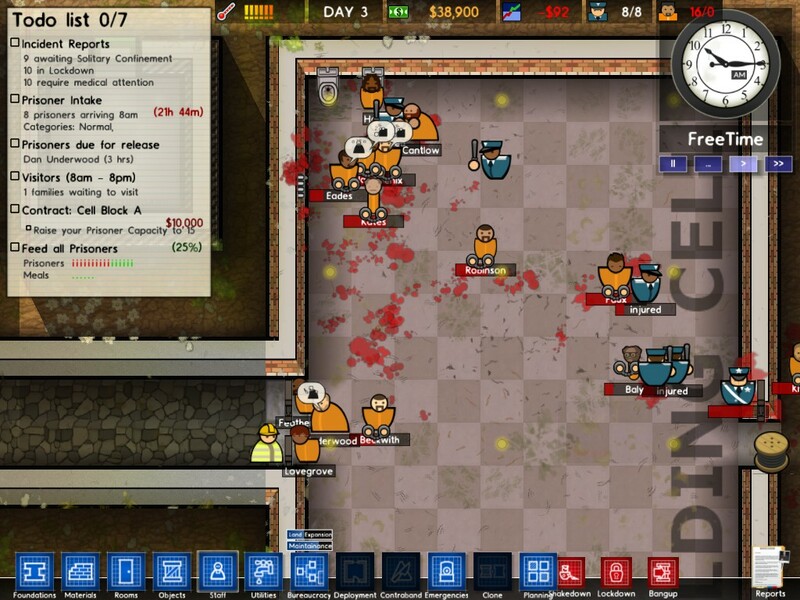 One of the problems I had with Prison Architect was how repetitive it got once you knew what you were doing. There simply weren’t enough variables to present a different experience each time. Same goes for Cities Skylines, and how the game basically played out the same every time due to the progression model. Another case is when an open-ended game simply doesn’t provide enough options on how to proceed. In Anno 2205, the lack of building variety meant that every corporation had to be built the same way no matter where you started. This is why random events and elements add so much to games when it works. With that said, there is a point when the game becomes more like playing Russian roulette than it is playing the game. The problem with random events is in the name: They’re random. While it may not sound right, there is a point where randomness can come back to bite the designer and impact the experience too harshly. Playing Rimworld for instance, I had situations where the randomness basically was an instant death. Some examples: Bandit wave with weapons too advanced to fight, animal aggression triggered, bug hive appearing next to my compound and so on. Each one of these events could be chosen at random, and they each caused my entire colony to wipe and end the game. Here’s the kicker, reloading the game caused it to use different events. In one recording, I literally had to reload the game four times in the span of minutes, because each situation it spawned was a game ender. This isn’t the case of the player (or me) having to get better or prepare, but the game basically throwing up the “Time to Die” sign for my colony. The fact that this could happen at any moment makes it really hard to get invested in my colony or game, and why good randomness has a layer of control to it. There is a line when randomness runs amuck in a game design. The key point is when playing the game is focused on the random elements and not on the player themselves. We can see this in many poorly-designed rogue-likes where an entire run’s success has no bearing on the player’s skill or knowledge of the game. If the game just rolls a dice and decides anything below five means you lose, then what’s the point of playing? With that said, there is still the balancing challenge of how much should player skill impact things. 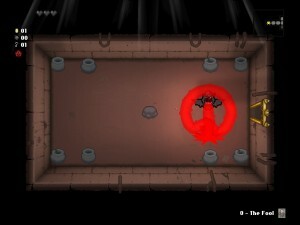 In the Binding of Isaac, unlucky items can be mitigated to some extent by the player, but there is a limit. While you can get through to Mom without crazy items, you won’t be able to win the extra levels without finding good stuff. 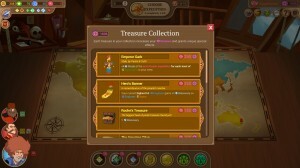 With that said, the game does give you plenty of options and advanced ways to get those items. Each time I’ve lost a game of Rimworld, it wasn’t a matter of me having to learn something new or get better, but simply having the RNG Gods be mad at me. 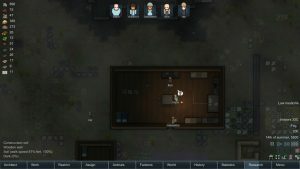 What am I supposed to do when my three-man colony gets attacked by five bandits with grenade launchers? I know supporters will argue that that’s just part of the game, but the player should be given the tools to help get around a bad hand, not get blown out of the water when the game decides it’s time. With that said, there is an even greater problem when randomness goes too far: It actually makes the game more linear. You may think that having anything can happen at anytime makes your game unpredictable, but it can actually do the opposite. If the player knows that certain events can occur that ends their game every time, they will learn the best ways to get around it. Going back to Rimworld, I now know that I have to rush to get turrets for defenses, as there are no other early game techs that provide adequate defense. That means I just created a set order of things to do in a random game. The more polarizing you make your events, the more players will be forced to think about them at all times; making their strategies become the same in each play. 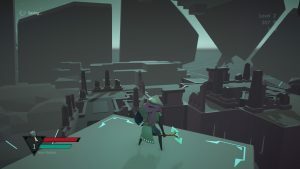 In Necropolis, despite featuring procedurally generated levels, the game in its current form is very repetitive. The reason is that there is just not enough diversity in the base mechanics and design to make each play feel different. What that means is no matter how the levels are created, they’ll still force the player through them the same way every time. Games where randomness works are those that allow for different solutions and options based on what happens. The player is not reacting the same time each play, but adapting and figuring out new synergies and opportunities. What I loved about Renowned Explorers was how much your strategy can change based on who was in your party and the treasures you found. Sometimes, my entire strategy changed halfway through thanks to one powerful treasure bonus. The recent expansion even added in an additional end-game mission; providing players with another way to win. 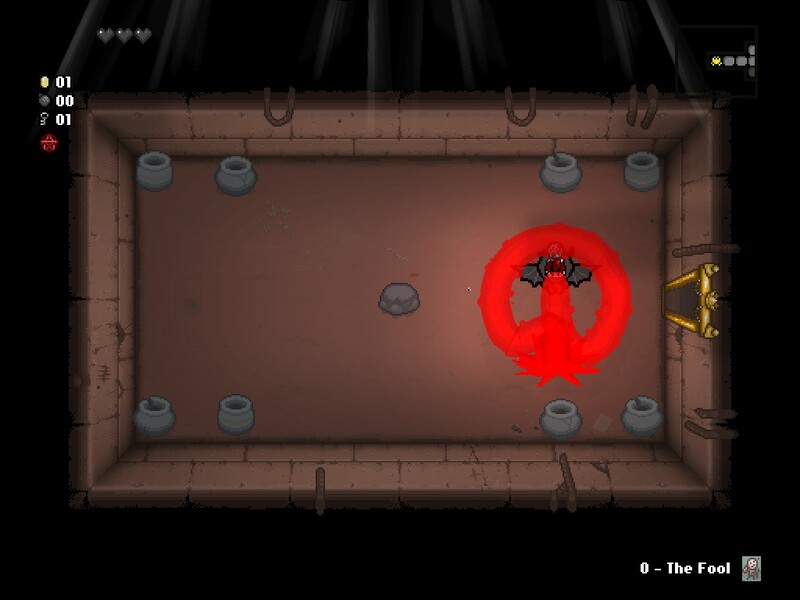 Going back to The Binding of Isaac, how you play the game can change with just one item pickup; forcing the player to roll with the punches or go for insane synergies. 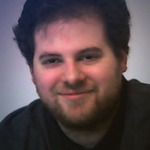 Well-designed randomly-generated content keeps the player on their toes and prevents the game from becoming one-note. As we’ve talked about, too much or too little randomness can hurt a game’s design and appeal over the long run. No one wants to play a rogue-like where they’ll see everything after one hour; just as how no one wants to play a game where losing is completely up to the game’s discretion. If you want the game to constantly keep the player guessing, then you have to give them the tools to adapt. There should never be one good solution to a problem; make multiple. Going back to the Rimworld bandit attacks, instead of needing turrets, why couldn’t I set up a moat, or dig pits, or even just negotiate? It doesn’t matter how many situations and random events you have if the list of solutions is too small. Good design presents the player with a number of options and asks them to make the best out of a bad situation. The point is that there has to be options. If everything only has one way to do it, then you have a game designed around random events with linear solutions, and that’s just a game-ender for replayability. Interesting article (I wondered why the Rimworld LPs stopped:) This is something I’ve been thinking about after playing a rogue-like from the 80’s recently (Omega). Another way around this problem I have seen is the use of a “storyteller”. Basically, the RNG is run through a “storyteller” filter to ensure only suitable events for the current stage of the game are allowed. Or control is the other way round. In any case, the game is semi-random as the storyteller tries to impose a narrative. Can’t remember where I heard about this now (spacegamejunkie podcast maybe?). I might still play some Rimworld, as recent plays off recording have been getting better, but we’ll see how things go.